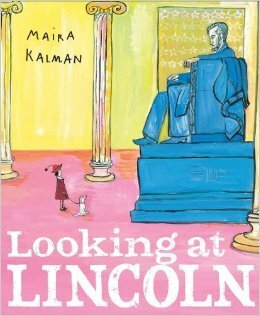 Looking at Lincoln, written and illustrated by Maira Kalman (Nancy Paulsen Books, $17.99, ages 5-8), is reviewed by Rita Zobayan. Abraham Lincoln is probably one of the most recognizable American presidents, and with little wonder. His profile is on the penny, his portrait on the $5 bill, and his legacy is taught in both language arts and history classes at an early age. With today being the 150th anniversary of the Gettysburg Address, Maira Kalman’s non-fiction picture book Looking at Lincoln is a perfect introduction (or curriculum supplement) to this venerable leader. The book features many details about Lincoln, ranging from his birth through his assassination. For example, Lincoln only attended school for a year and a half and was mostly self taught; as a youth, he was kicked in the head by a mule; he always had an apple on his desk; he loved Mozart’s music. These details on the intimacies of his life help humanize Lincoln, so that he seems more of a person as opposed to a figure. Children will be intrigued to know that Lincoln liked to argue a lot and to eat vanilla cake. He stuffed notes in his stovepipe hat. To her credit, Kalman presents the difficult subjects— slavery, the ensuing Civil War, and, of course, Lincoln’s assassination—delicately but realistically. Terrible things happen in a war. The Civil War ground on. Lincoln went to Gettysburg, Pennsylvania, the site of a big battle. Thousands of soldiers were buried there. Many with just a number on their grave. On that sad land, Lincoln gave one of history’s greatest speeches, The Gettysburg Address. It was short—only 272 words—ending with “…government of the people, by the people, for the people shall not perish from the earth.” The war finally ended in 1865. Almost a million people had been killed or wounded. The North had won. Despite the solemnity of the subject, Looking at Lincoln ends on a hopeful, positive note. The sources and a page of notes on different people, incidents, and places complete the book. 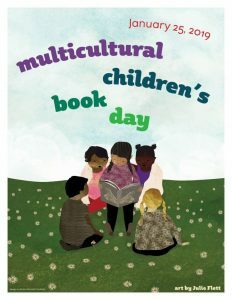 Although the book is recommended for ages 5-8, I felt it was best suited for ages 6-9. 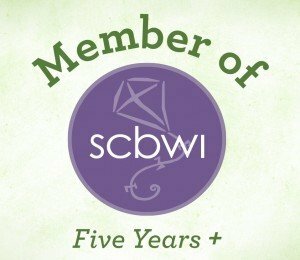 The typography is varied. Some of the text looks handwritten and some is typed. The colors change depending on the subject. For example, “vanilla cake” is in yellow, while “a birthday present” is in purple. The art work is in gouache, an opaque watercolor paint, and has a folk art sentiment, perfect for the subject of a down-to-earth individual such as Lincoln. The Gettysburg Address: A Graphic Adaptation by Jonathan Hennessey with art by Aaron McConnell from William Morrow, 2013. Another book GRWR can recommend today is this great looking graphic novel – The Gettysburg Address: A Graphic Adaptation, written by Jonathan Hennessey with art by Aaron McConnell (William Morrow, $15.99). The cover says it uses “Lincoln’s words to tell the whole story of America’s Civil War, 1776 to the present.” Although there’s no recommended age, we feel confident it’s suitable for ages 14 and up. As Americans, we start learning about the Gettysburg Address in elementary school. Now, we can own this comprehensive adaptation to enjoy at home and use for reference. The engaging illustrated approach also breaks down the speech for a renewed understanding of its significance. Find out more by clicking here. It’s good to know that Kalman’s book portrays a realistic view of war to children, but offers hope. 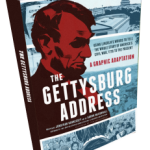 Re: Hennessey’s graphic novel, I suggest following the links provided; they give a close-up of the book, which will appeal to kids with its illustrations and understandable explanations of the events surrounding the Gettysburg Address. 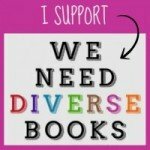 Hennessey and McConnell’s book is one I will return to again and again.